Education: LL.M. (Harvard Law School, USA), BA.LL.B. (Hons.) 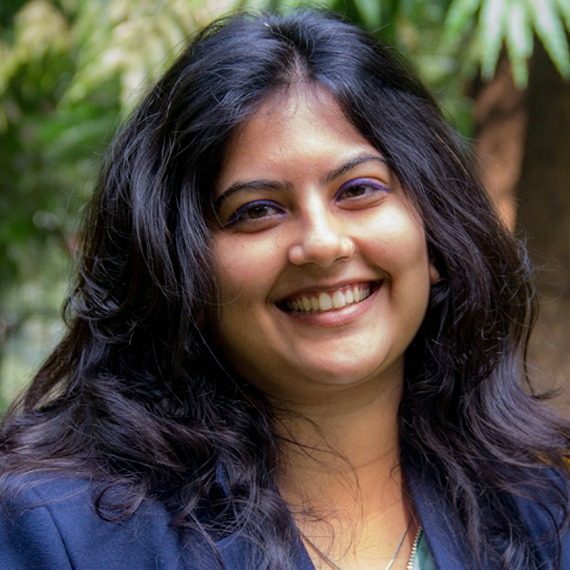 (NALSAR University of Law, India) Nehaa leads Ikigai Law's work on technology and innovation focused public policy and regulatory advisory. She works at the intersection of law, policy, regulation, technology, business, and society, engaging with crucial issues such as data protection, privacy, net neutrality, a regulatory framework for crypto-currencies, and, the Internet of Things, among others. Nehaa engages with new, emerging, disruptive technologies and start-ups on approaches to understand, and navigate India’s technology law and policy ecosystem. Nehaa previously worked with the Centre for Internet and Society, India (“CIS”), a leading think tank on internet policy in the country. While at CIS, she was the only civil society representative from India to participate in international treaty negotiations at the World Intellectual Property Organization ("WIPO"). She was also a member of committees of the Indian government, specifically around India's negotiations and strategy at the WIPO. While studying at Harvard Law, Nehaa worked with the world-renowned Berkman Klein Center for Internet and Society at Harvard University (“BKC”). Through the BKC’s Cyberlaw Clinic, she advised clients on the use of algorithms in the criminal justice process and, on free speech in international law. In addition, as a Research Assistant to Prof. Urs Gasser, BKC’s Executive Director, she worked on a book, re-evaluating the relationship between law, regulation, governance, and technology. Nehaa has authored several pieces of writing, including a module on intellectual property rights for UNESCO, and critiques of proposed treaty language for the Indian government. She has spoken at conferences and events around the world. Nehaa is proficient in five languages, is a trained Indian classical dancer.